Last I left off we were leaving behind cold rainy Maryland and heading to sunny Florida for our big Mommy/Daughter 7 Night Cruise on the Disney Magic. What a unforgettable experience, If you get the chance to travel with your children alone I say go for it! We had an uneventful flight and a restful pre-cruise night of sleep at the Holiday Inn Express located on Conway Rd, just a little off I-drive. A great option for pre-cruise as it was quiet, off the beaten path a little and offers a free hot breakfast. We were going to be heading back to Walt Disney World after the cruise so I only needed to set up pre-cruise transportation to the port. 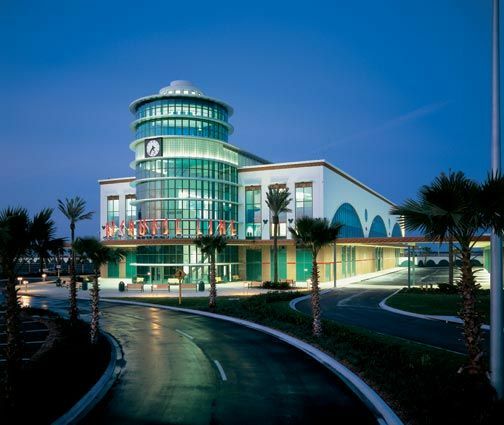 Let me tell you the best service I have used for anything in Orlando has been Port Canaveral Cruise Shuttle! The prices are unbeatable and the service was A+! If you ever need roundtrip or one way services to Port Canaveral please do yourself a favor and use this company. They were amazing, I really cant say enough good things. After a quick 45 minute drive to the Port we had arrived! Upon arrival we were greeted by a longshoreman to take our bags. We had an experience with him that left me not so thrilled, but it is what it is and that wasn’t going to set the tone for our trip. We entered the terminal and were checked in and on our way on-board within 30 minutes of arrival. There are many surprises and little extras that Disney Cruise Line does that really put them over the top. When you arrive on-board they ask for your family name and welcome you by name throughout the atrium and the ships crew is there applauding and greeting you! Talk about Magical Moments! I really wish I had my camera ready for my girls first sight of the Magic Atrium, they were in awe. And to add a little more magic it was a Very Merry Time Cruise! 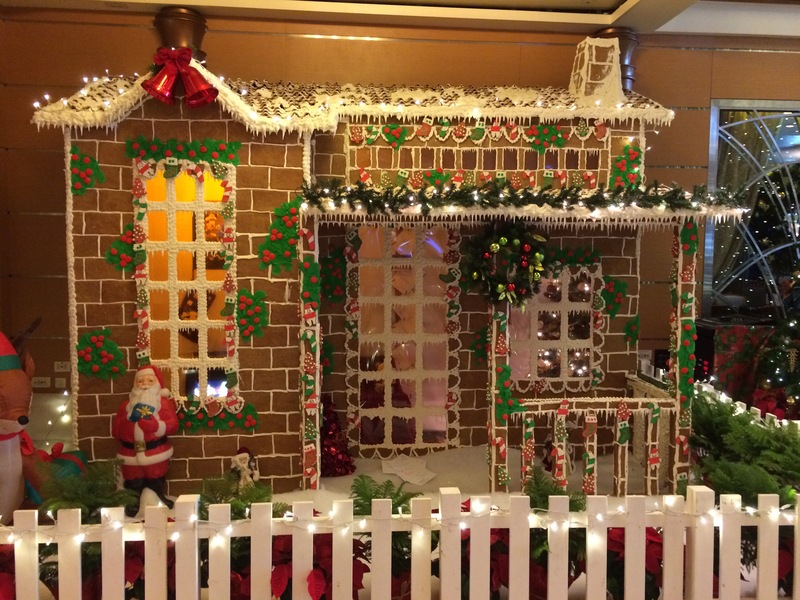 The Gingerbread house alone was amazing, but all of the festive touches including Holiday music playing through the ship were fantastic. 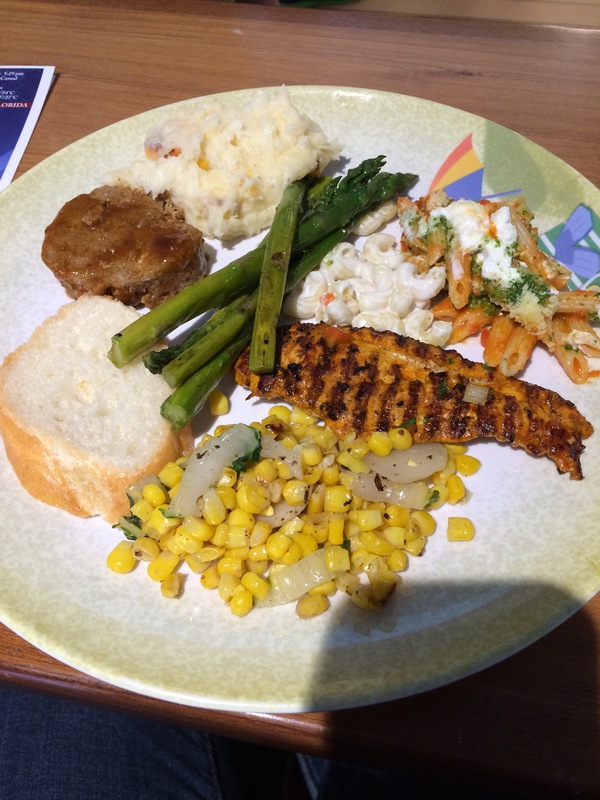 Our stateroom wasn’t going to be ready when we got onboard so we headed to Cabanas for a buffet lunch. Cabanas is a great option when you are on the go and need a quick meal for breakfast or lunch on-board. Always a buffet option with amazing variety from cheese trays, salads, stone crab claws, meats, entrees and more you can’t go wrong dining here. They serve this corn dish with water chestnuts that I crave often! 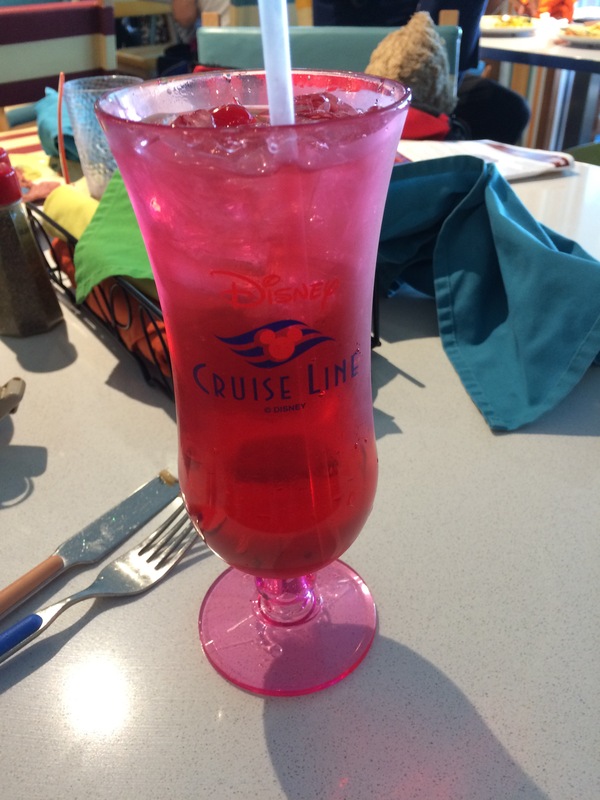 It’s amazing, as is all dining on Disney Cruise Line. 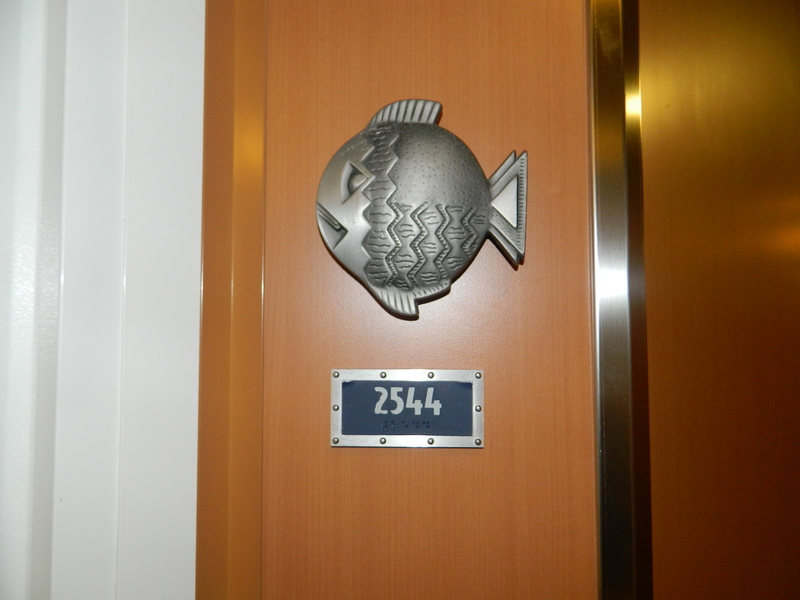 After lunch we were off to our stateroom, our home for the week was a Deluxe Oceanview Stateroom located mid-ship. I prefer mid-ship because that is where 90% of the ships activities occur, so not a lot of running back and forth from front to back of the ship all week. The stateroom has 1 queen bed and 1 twin size sofa bed, perfect for the 3 of us. 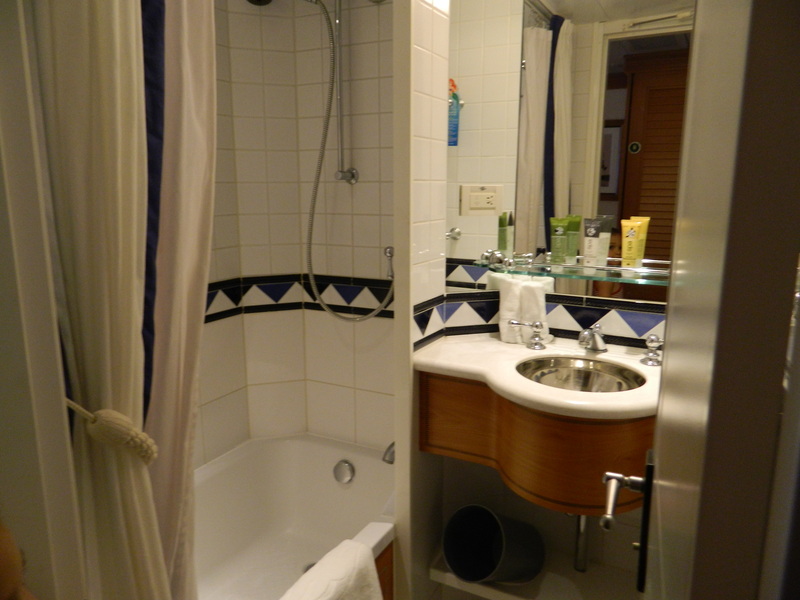 My favorite part of a Disney Cruise Line Stateroom is the bathroom. It is split so one side is shower/tub combo and sink with a door and next to that is toilet and sink with a door. No fighting over a small cramped space to get ready. YAY! Yes that is a bathtub in a non-suite on a cruise! 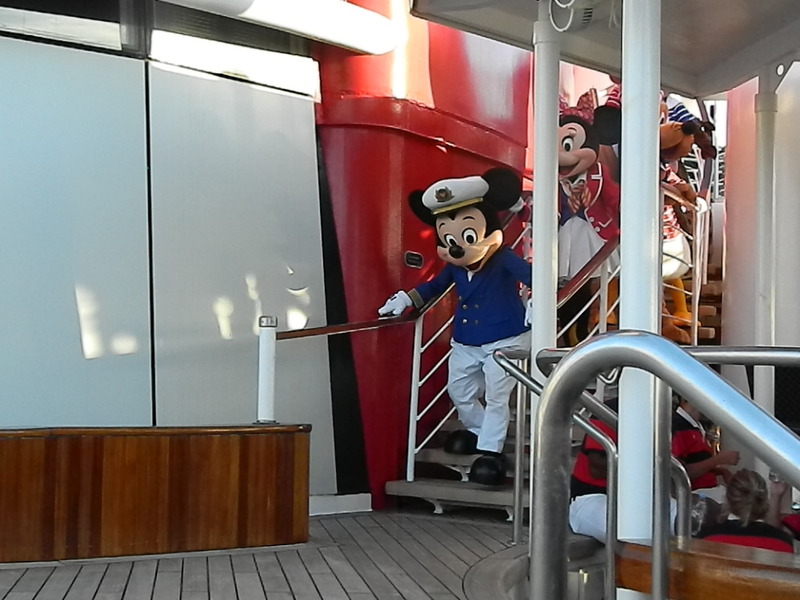 Every Disney Cruise has a sail away party on departure day. This really sets the tone for the amount of fun you will have all week on your cruise. 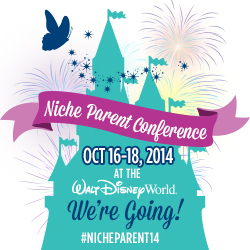 Be sure not to miss it, some of your favorite Disney Pals will be there. 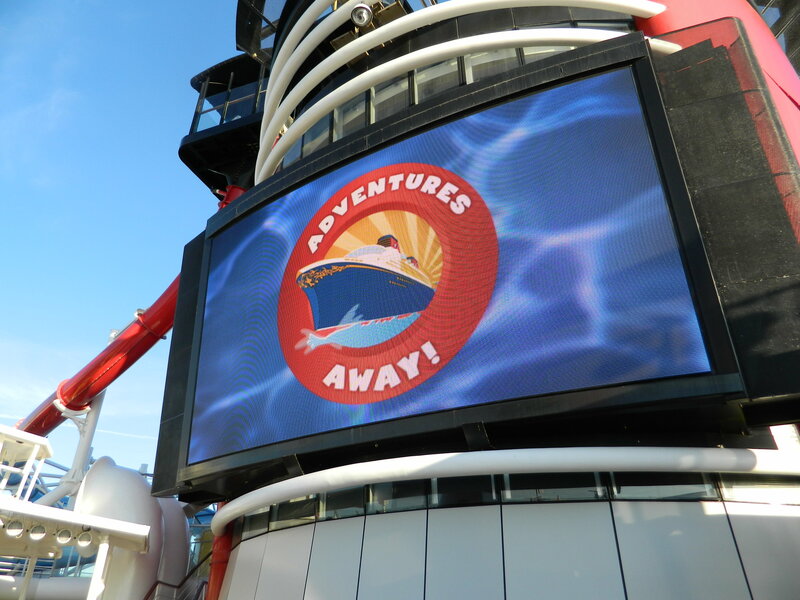 My next installment of our great big Disney Cruise will be what we did for one and a half days at sea! So stay tuned…we still have 6 more days to go.